Skylights are some of the best additions to flat roofs. Some believe they could increase the chances of water infiltration, but their benefits outweigh and outnumber their perceived risks. Skylights can help your HVAC system run more efficiently. They can provide desirable passive solar heating during the coldest months while contributing to thermal insulation during the warmest season. And, since they catch free, abundant sunlight, they can naturally illuminate your interior. In turn, you can depend less on artificial lighting, which helps cut down your utility bills and keep your indoors warm. 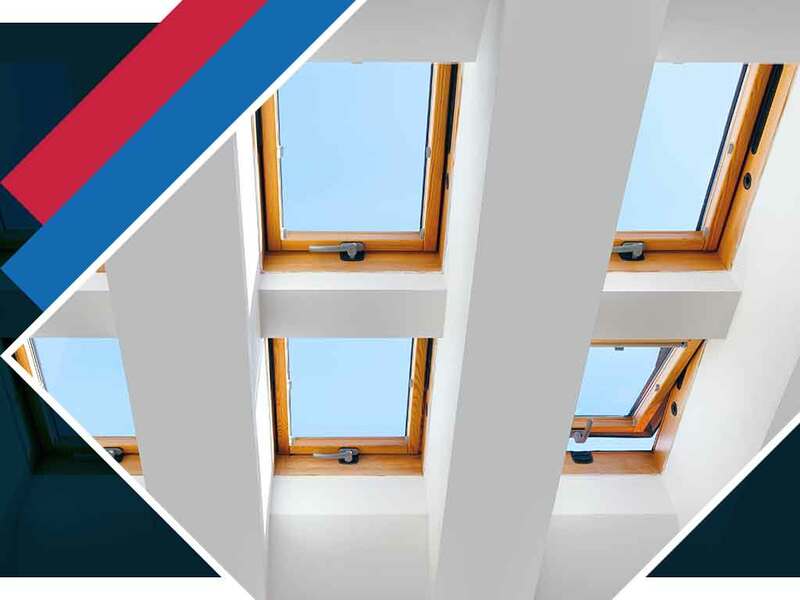 Ventilating skylights are also useful in regulating temperature, expelling excessive moisture and inviting fresh air indoors. While they are operable, they wouldn’t be the culprit behind any leaking roof if they are properly installed and maintained. If the room underneath your flat roof is space-strapped, the addition of glass can make it appear larger. Skylights extend the gaze, tricking the eye into believing there’s more room than there really is. Since they provide 30% more daylight than average windows, they can make your interior look more spacious. Adequate daylighting through skylights comes with a long list of health benefits, too. Sunshine is an excellent mood enhancer and a reliable catalyst for the release of serotonin. For anyone who suffers from seasonal affective disorder, getting enough sun exposure without having to go out promises better emotional balance. Plus, skylights can help trigger Vitamin D production during daytime and maintain proper circadian rhythms. Any expert in flat roof and gutter installation would attest to the fact that skylights may increase property value. Many people view them as green retrofits to make residential and commercial spaces healthier and more energy-efficient. Harness all of the benefits of flat roof skylights with Tedrick’s Roofing. Call us at (877) 212-9355 now to schedule your FREE, no-obligation inspection and estimate. Get your project started, and learn about your product options. We proudly serve property owners in Seattle, WA, and neighboring communities.